Roan and Kay are orphans that are lucky to be alive after a fire destroyed their orphanage. The two find themselves with a chance to enter the School of Faith, but they are much older than the normal applicants. They are given one month to prove they belong. They desperately hope to stay and to stay together. Faith and Moonlight is one of the short stories that makeup the Echoes of the Ascended series. The series is made up entirely of novellas and short stories. This is my first experience with this world and I learned halfway through that I'm starting in the middle. That didn't seem to matter overall, although I imagine there are certain aspects of the world I'd understand more if I started at the beginning. I plan to do just that when I have a chance. Roan and Kay attempting to enter the School of the Faith is loaded with familiar storylines. An amazing school only for the worthy and an unexpected chance are the few I can mention without spoiling anything. The characters are interesting. Roan is incredibly strong individual and absolutely devoted to Kay. Kay on the other hand was raised an orphan likely from birth so hope is a four letter word to her that was dangerous to speak or think about. Her doubt seems to be eating her alive from the inside. Faith and Moonlight was a good short story with rich world building. There is a lot to like in the story so I will absolutely be sure to read more stories in the Echoes of the Ascended series. Peter Parker isn't just Spider-Man anymore, he's a husband and a father. He's doing his best for his family and his home. When heroes start disappearing Spidey heads to Avengers mansion to find out the cause. A group of heroes were already there discussing just that. As the team prepares to face the Regent, they call a team of heroes who are at a prison break to join them even though all the prisoners escaped. One prisoner in particular forces Spidey to swing home rather than fight with the Avengers. 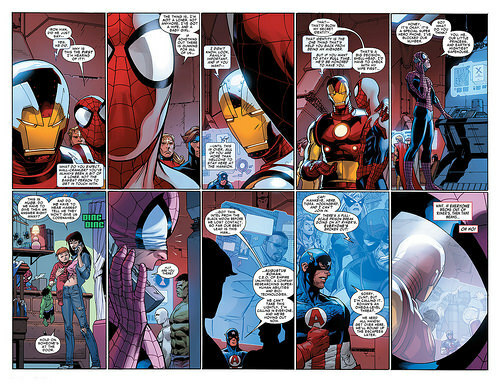 Peter saves his family while the Avengers are annihilated. Peter vows to protect his family over the entire world as the Regent culls the remaining population of superpowered heroes. "That was the day The Avengers died. That every last hero died. Even 'Spider-Man.' It just looked like him standing there. But that was just me. Peter Parker. A Dad in a stupid red and blue suit. That was the day I learned what trump's great power...an even greater responsibility. " 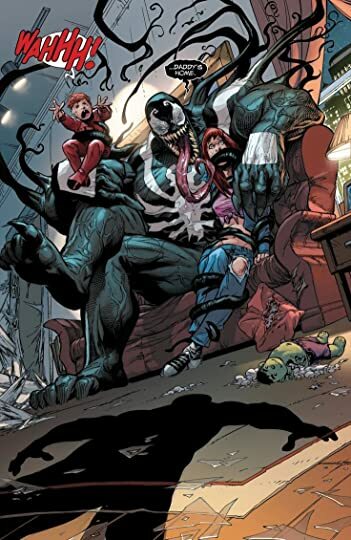 I think being a Dad made me really love Spider-Man Renew Your Vows. As a father I can't imagine anything I wouldn't be willing to do to protect my family and seeing Peter Parker's decisions in this miniseries really hit home for me...as much as a man with spider powers in spandex could. To watch Peter Parker choose to hide rather than fight to protect his family was touching. Peter was completely unwilling to place his family in harm's way. 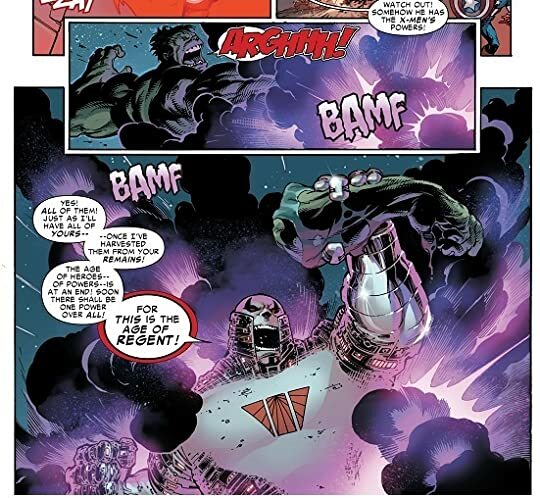 This is easily the best Secret Wars miniseries I've read so far. The funny thing is I only picked it up because my library had the individual issues and I thought sure why not. This was really really good and I was griped by the events taking place. The focus was far from Secret Wars overall which makes this a great story on it's own. I can't get past how good this story was. Spider-Man Renew Your Vows is the best comic volume I've read in a while.